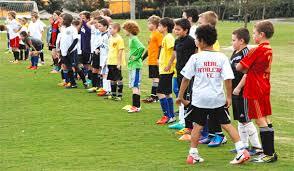 2014 Tuesday, June 10th @ 6pm – Thanks to all that attended tryouts last week. The coaches/club leaders are diligently working to process team offers. The process is done at the team level so some team offers have went out while other teams are still in progress. The record-number of attendees has caused some delays but notifications to everyone are anticipated to be sent by Friday. At this time, no further tryout dates have been scheduled but please check the tryouts page for a 2nd Development team night as well as potentially a few teams in age groups still needing one or two players.